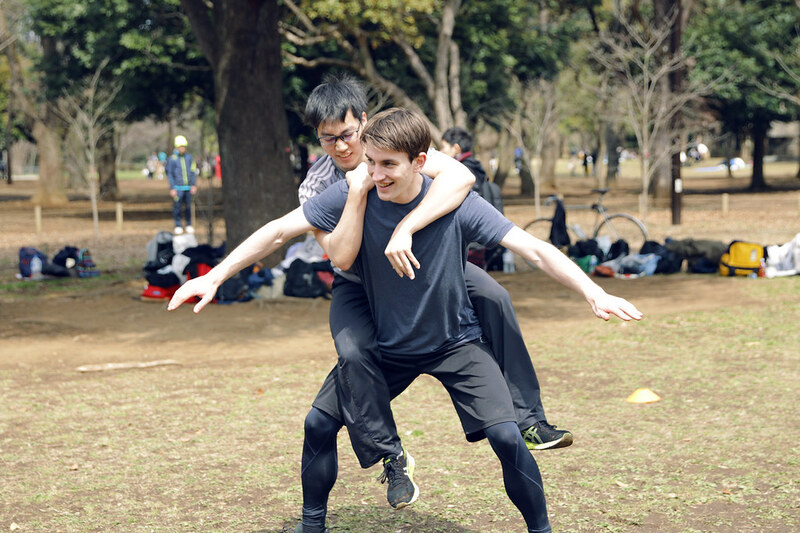 Come train with the funnest people in Tokyo! 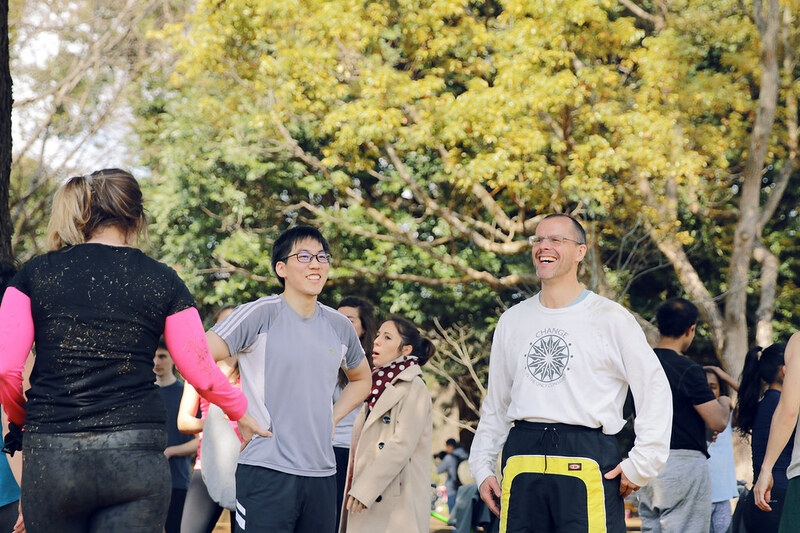 We’re a group of fun-loving, exercise first-timers and enthusiasts from all over the world interested in sweating, laughing, and enjoying the great outdoors together. 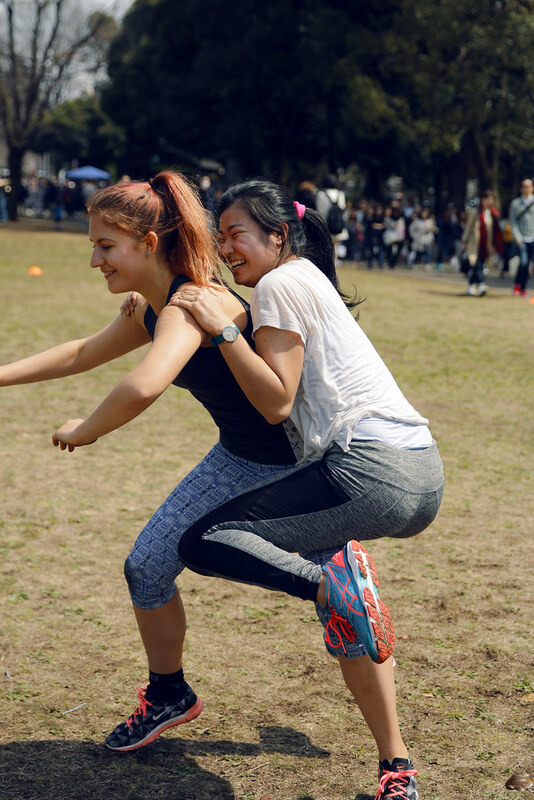 Because whether you’re a seasoned athlete or self-proclaimed coach potato, we promise that you’ll leave Bootcamp smiling, more fit, and feeling better than when you got here. 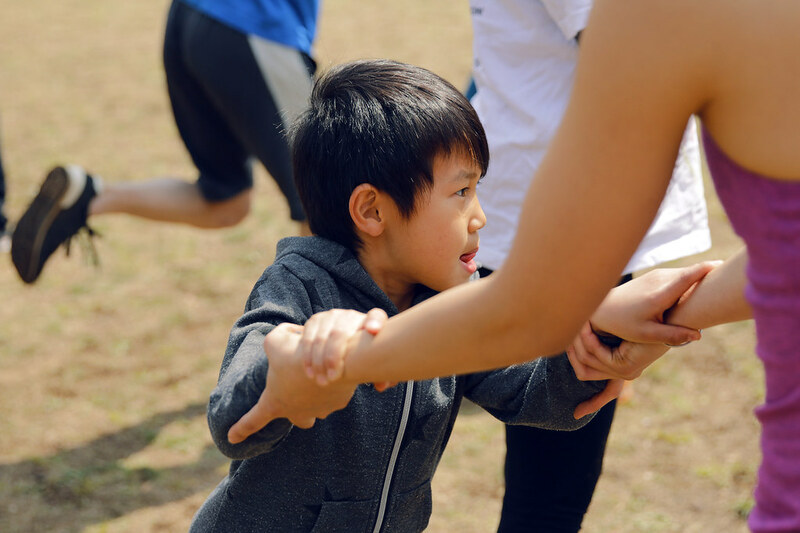 We warm-up together, break up into three groups (Beginner, Intermediate, & Advanced), workout for 45 minutes, then come back together for a group activity. 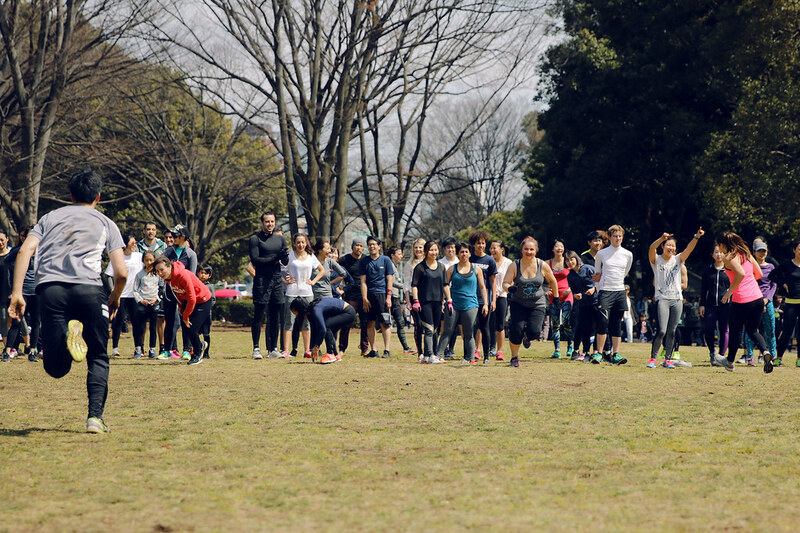 It’s basically gym class for adults, with balloons, silly games, and lots of laughter. 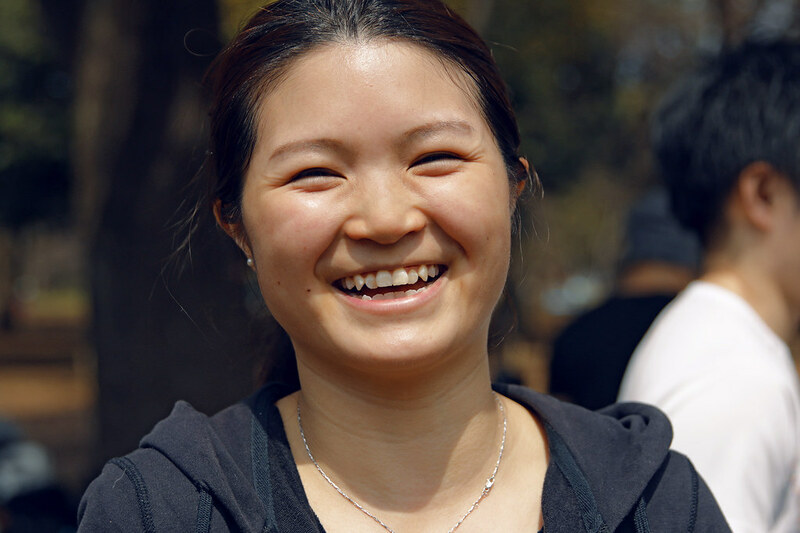 SOGO boot camp challenges your body and mind with people alike you who strive to become a better version of themselves . It is beyond fitness and beyond community; it is your brand NEW lifestyle that you can’t go without every week. I’ve never realized how strong I can be until I joined SOGO bootcamp. 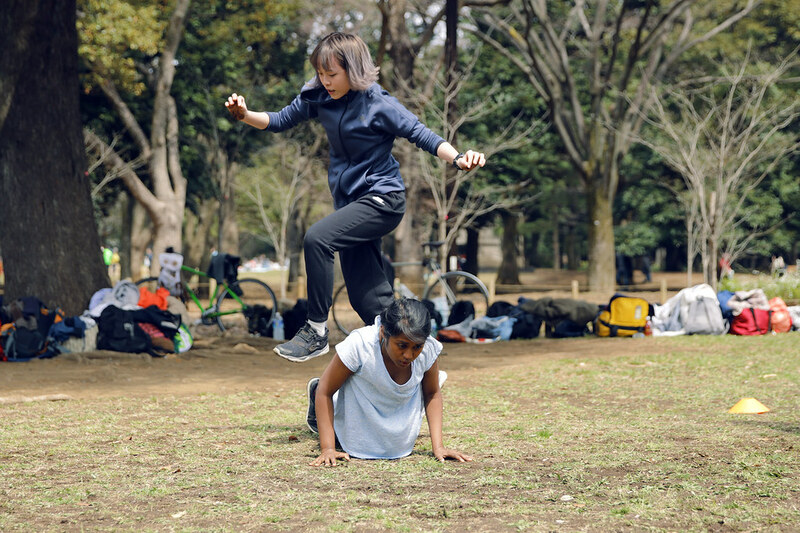 SOGO bootcamp challenges you physically and mentally. Sometimes you just want to quit but when you see your friends trying their hardest you need to push yourself. 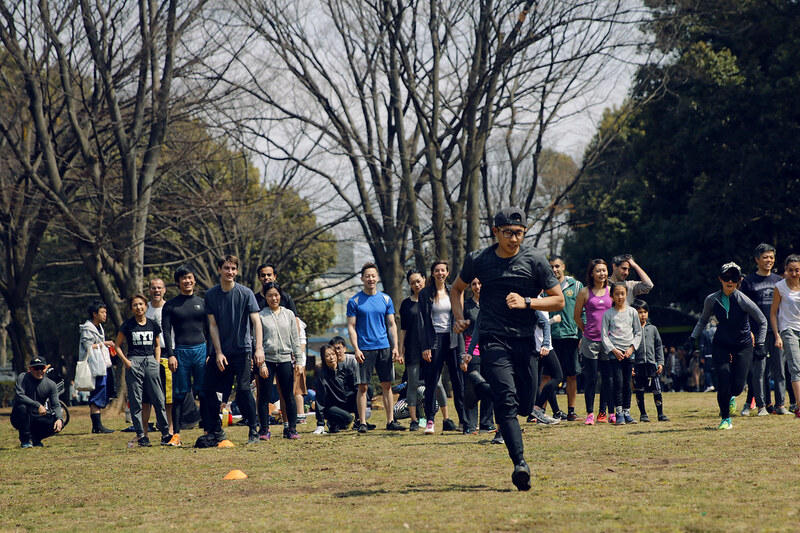 This is a great place to not just get into shape and challenge yourself but also workout with people who are greatly motivated to stay healthy. 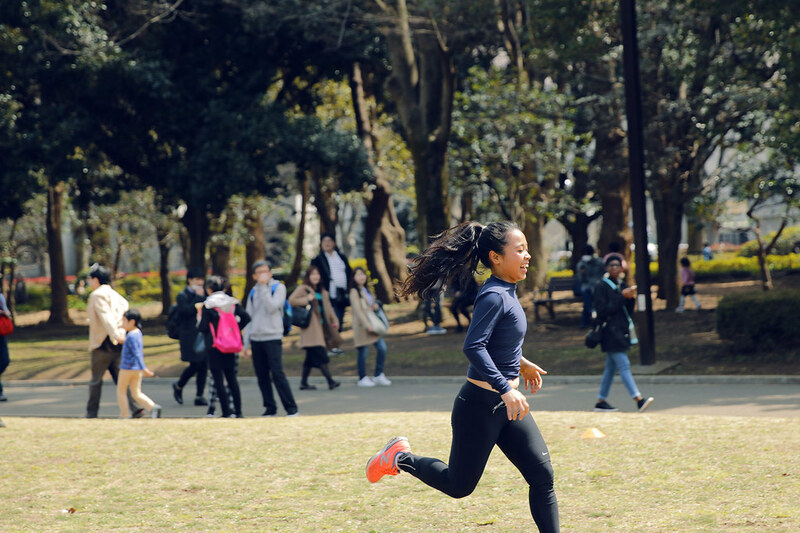 Fitness doesn’t have to require a lot of money or gym equipment- all you need is park, your body, and your positive energy! I love the healthy SOGO Bootcamp community to share laughs and some sweat! 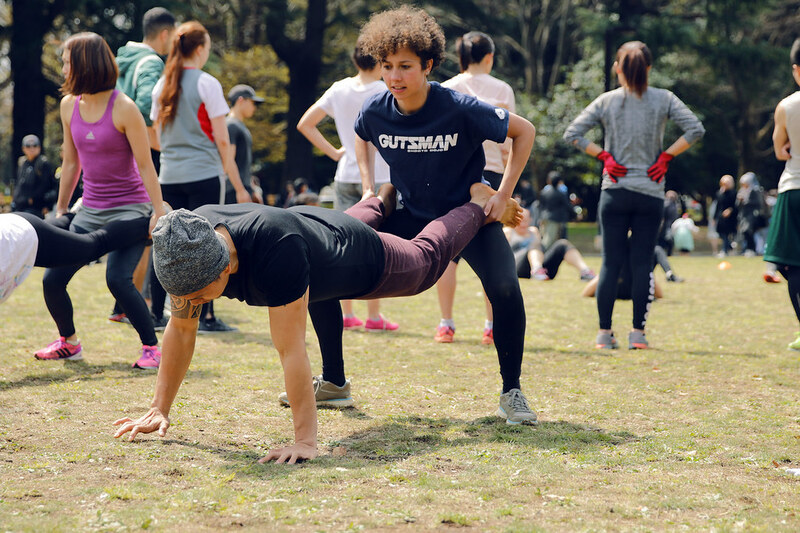 Whether you’re new in town or a local, SOGO boot camp is a great way to meet people and make some friends. Fun, crazy, weird, wild, or shy, SOGO has it all and it blends better than any smoothie you’ve ever had. Don’t worry, whatever your “ness” is, it’ll fit (see what I did there?). 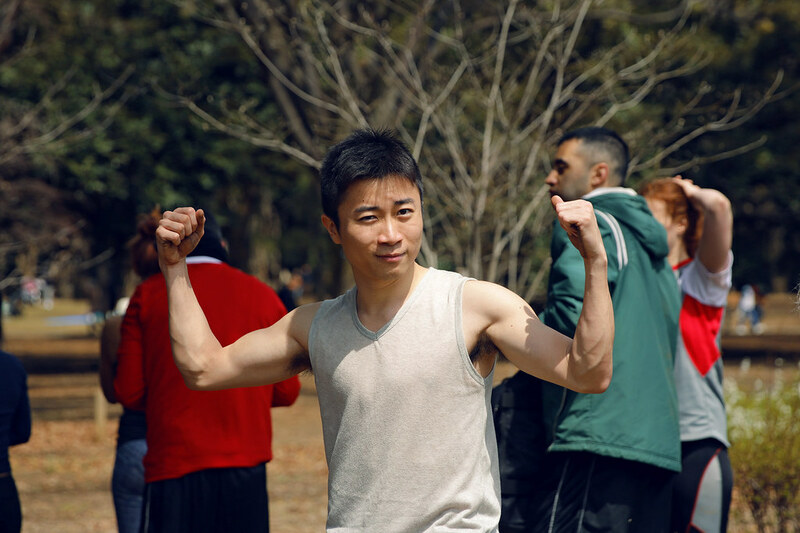 Oh, and we work out pretty hard, no matter your fitness level SOGO has you covered. See you Sunday! 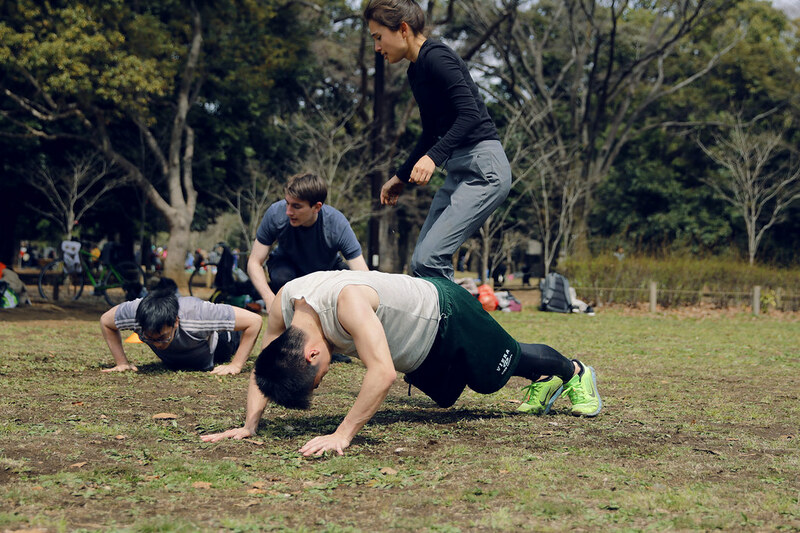 SOGO Bootcamp is a great way for people of all abilities to meet up and workout together. 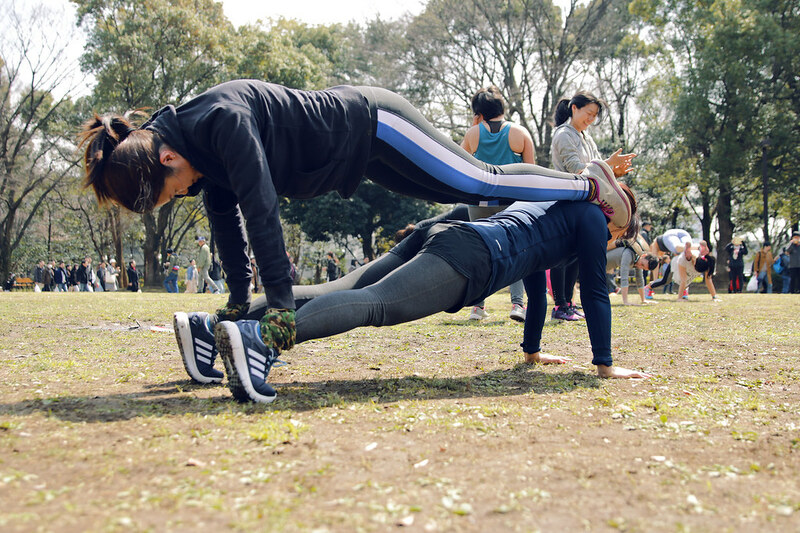 SOGO leaders break up into beginner, intermediate and advanced groups to ease in new joiners while still challenging those with more workout experience. 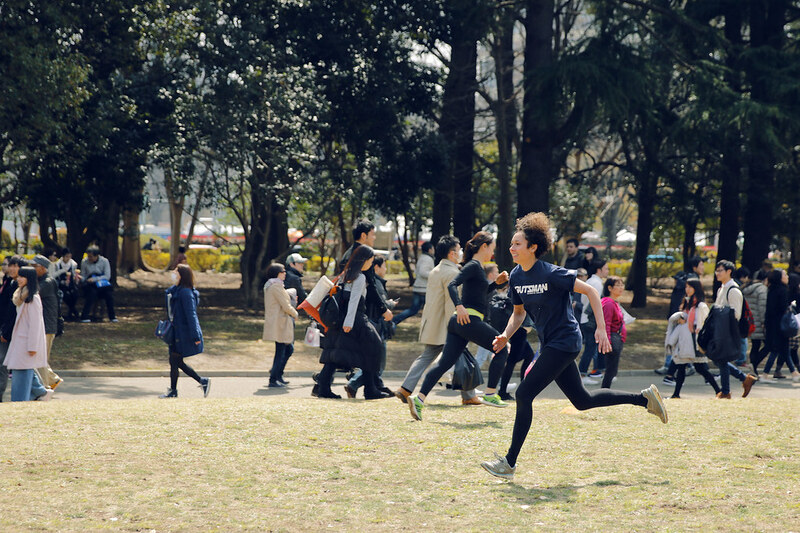 The final group activities with everyone are always lots of fun and keep people motivated while exercising. 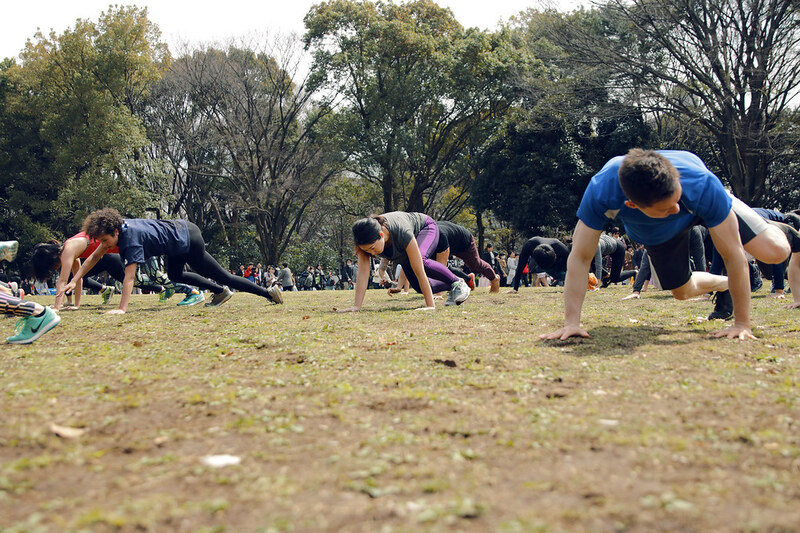 Best of all, you can always count on SOGO Bootcamp to happen every Sunday.